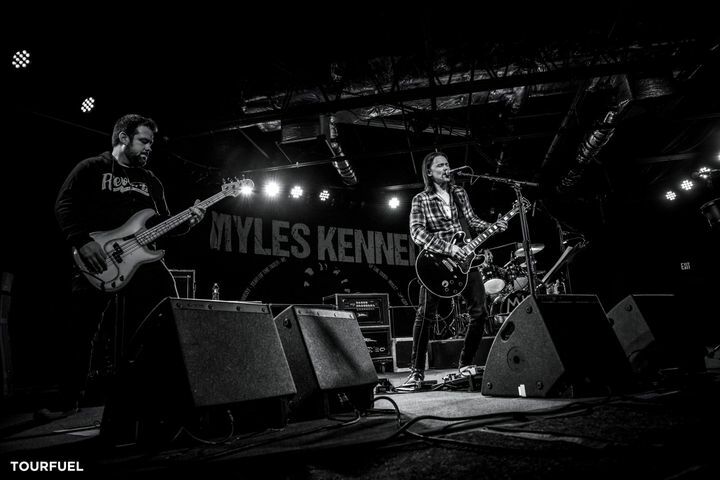 Myles Kennedy had finished his first solo album. Then he threw it away. It has taken me a while to gather my thoughts, but I was blown away by the show! Myles is such a talented musician and he makes things look so effortless. I enjoyed the band's report with the crowd as well. One of the best live performances I've ever seen. This is a must-see! An amazing evening of music! Myles has such a good, personal rapport with the audience. His vocal range, skillful guitar work and great songs were on full display and made for a memorable night. It was a full two hours of his musical history and current work with Alter Bridge, Slash and his solo album. Stunning and unforgettable concert. Hard to believe he remains mostly out of the American musical mainstream! It was amazing! We had 10 inches of snow dropped on us Friday/Saturday, so we were really worried that the show was going to happen. Not only did it happen, Myles Kennedy gave an incredible performance. Can’t wait to see him again, we also want to see him with Alter Bridge! As expected, Myles put on a fantastic show with great fan interaction. Also, can’t say enough about Walking Papers who put on a fantastic show and continuously got the crowd involved. Absolutely the best concert I've been to. Somehow, I think Myles's voice may actually be better live. I highly recommend seeing him and I will certainly see him again at some point.